This is a tribute to the New Orleans Saints Players that participated in, and won Super Bowl 44. 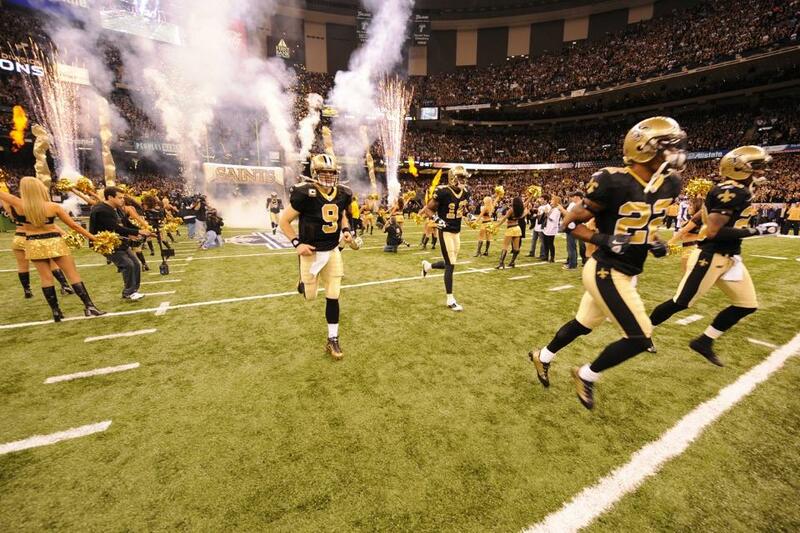 Exactly 44 Saints Players on the Active Saints Roster (posted above) participated in Super Bowl XLIV. 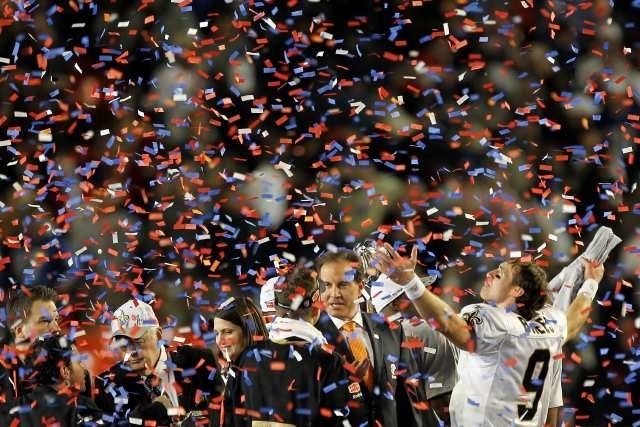 Take a look at memorabilia from the players that helped bring the Lombardi Trophy to the "Big Easy" with the win in XLIV. Below, the Saints Super Bowl active roster has been organized into arrival dates of when each player became a member of the New Orleans Saints. Sean Payton was hired as the New Head Coach of the Saints on 1/17/2006. Jon Stinchcomb was the Saints 2nd Round Draft Pick in 2003. Will Smith was the Saints 1st Round Draft Pick in 2004. Devery Henderson was the Saints 2nd Round Draft Pick in 2004. Lance Moore was signed as a free agent in 2005 to the Saints practice squad, he was previously with the Browns practice squad. Reggie Bush was the Saints 1st Round Draft Pick in 2006, he was the 2nd overall pick. Roman Harper was the Saints 2nd Round Draft Pick in 2006. Scott Fujita arrived in New Orleans in 2006 from the Cowboys and was first free agent acquisition under Head Coach Sean Payton. Drew Brees signed his contract as a free agent on 3/14/2006 a day after Scott Fujita signed. Jonathan Goodwin arrived in New Orleans in 2006 from the New York Jets. Scott Shanle was acquired in a trade with the Cowboys in 2006. Robert Meachem was the Saints 1st Round Draft Pick in 2007. Usama Young was the Saints 3rd Round Draft Pick in 2007. Jermon Bushrod was the Saints 4th Round Draft Pick in 2007﻿. ﻿Marvin Mitchell﻿﻿ was the Saints 7th Round Draft Pick in 2007. Pierre Thomas was signed as an undrafted rookie free agent in 2007, he played college football at Illinois. Chris Reis was signed as an undrafted rookie free agent in 2007, he played college football at Georgia Tech. Sedrick Ellis was the Saints 1st Round Draft Pick in 2008. Tracy Porter was the Saints 2nd Round Draft Pick in 2008. Carl Nicks was the Saints 5th Round Draft Pick in 2008. Jonathan Vilma was traded to the Saints from the Jets, he had previously been a 1st Round Pick and a Pro-Bowler. Jeremy Shockey was traded to the Saints from the Giants, he had previously been 1st Round Pick and 4-Time Pro-Bowler. Mike Bell was signed as a free agent on 11/19/2008, late in the 2008 regular season. Bobby Mccray was signed as a veteran free agent on 3/2/2008, previously played for the Eagles. Jeff Charleston was signed as a veteran free agent, he had previously played for the Colts. Courtney Roby was signed as a veteran free agent on 10/16/2008, he had previously played for the Colts/Titans. Randall Gay was signed as a veteran free agent, he had previously played for the Patriots. Remi Ayodele was signed as a veteran free agent, he had previously played for the Cowboys. Mark Brunell was signed as a veteran free agent, he had previously played for the Redskins/Jaguars, and was a 3-Time Pro-Bowler. Malcolm Jenkins was the Saints 1st round draft pick in 2009. Thomas Morstead was the Saints 5th round draft pick in 2009. Jonathan Casillas signed as an undrafted rookie free agent in 2009, he played college football at Wisconsin. Jabari Greer signed a 4 year deal with the Saints as a free agent on 3/4/2009 after previously playing for the Bills. Darren Sharper signed 1 year deal with the Saints as a free agent on 3/18/2009, 4x Pro Bowler and previously with the Packers. Pierson Prioleau signed 1 year deal with the Saints as a free agent on 3/26/2009, previously played for the Redskins. Nick Leckey signed and a 1 year deal with the Saints as a free agent on 3/17/2009, previously played for the Cardinals and Rams. Anthony Hargrove signed with the Saints on 5/18/2009 as a free agent, previously played for the Bills and Rams. Kyle Eckel signed with the Saints late in the 2009 Season, on 10/29/2009, previously played for the Patriots, Dolphins and Eagles. David Thomas was traded to the Saints on 9/5/2009 from the Patriots, in exchange for a 6th round draft choice. If you have any jerseys or other memorabilia relevant to this collection and would like to sell it, please contact me. Thanks!